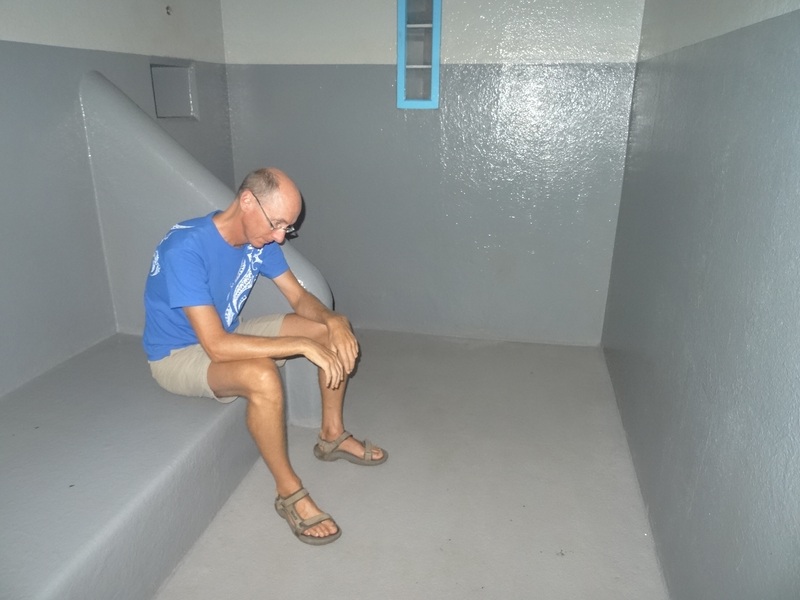 It was Saturday evening and the last place I had expected to find myself was in a cell in the main police station in downtown Papeete, capital city on Tahiti in French Polynesia. I sat on the freshly painted concrete bed and stared at the floor. The Director of Police looked at me from the solid iron-barred doorway, “It feels good to have an Englishman in my gaol” he said, “after what you English did to Napoleon in St Helena”. This was definitely not a place that I wanted to spend too much time in. But a lot can happen in 24-hours and, although still in the company of the Director of Police, Francois, on Sunday evening I found myself in much more convivial surroundings. We were both sitting on his tiled terrace with a large tropical garden beyond and the sun setting beside the island of Moorea. It was warm, opened bottles of wine stood on the table and we had guitars on our laps. I was playing an uptempo Blues bass line in the key of A and he was improvising over the top. We had talked a lot about music and we both knew our Delta bluesmen and a fair bit of their history. Francois had an Ovation guitar he’d bought 35-years ago in Clarksdale, Mississippi. He had stood at the very crossroads, where Highway 61 intersects with Highway 49: where it was claimed Robert Johnson had made that famous pact with the devil in exchange for magical guitar playing skills. 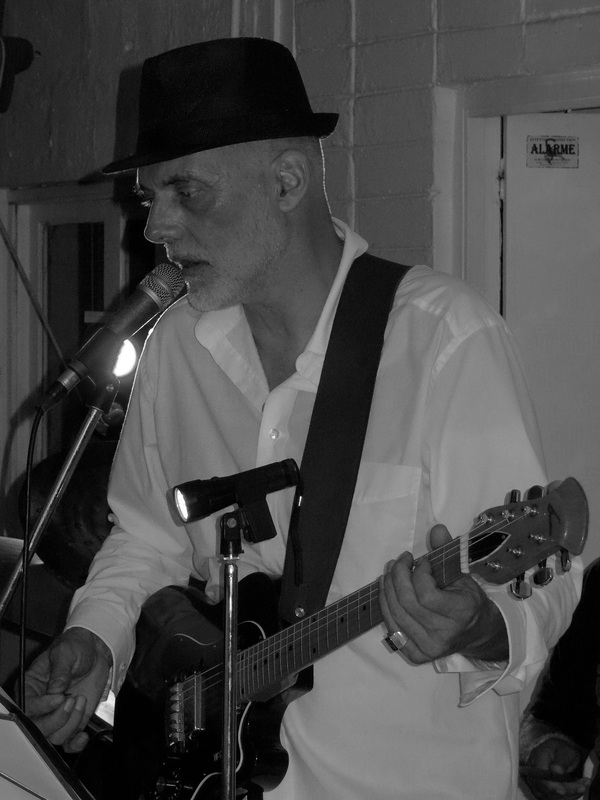 So, here we were two ‘Popa’ (white Europeans) playing the Blues in Tahiti. A music imbued with a suppressed tension and aspirations of emancipation and liberation. It gave a voice, often coded so that their masters would not understand, to the plight of the slaves, of their hopes and dreams. Francois had talked about his commissions in other French overseas territories where the legacy of slavery was still a factor to be aware of in ones dealings with local people and especially during volatile crowd situations. The presence of chains as barriers were to be avoided at all costs with their direct association with shackles and fetters. Police dogs were never used either as this was also a reminder of the dogs that were used to hunt down escaped slaves. Understanding the local culture was a key component of a policeman’s job and particularly so in regions where they acted on behalf of a foreign government. I had enjoyed my tour of the police station with Francois the night before, even my temporary incarceration in his brand new cells which were now apparently full of the weekend’s usual supply of domestic violence perpetrators. Hinano beer and ‘Pacalolo’ (Marijuana) when mixed with Polynesian warrior genes makes for a bad combination. An overnight stay is usually enough to render them meek and apologetic…. until the next time. We came to the end of our 12-bar blues jam and smiled. It is always good to play the guitar, especially with the Director of Police in Papeete. This entry was posted in South Pacific, travel and tagged Adventure, Blues, concrete, Delta Blues, Devil, French Polynesia, Guitar, Napoleon, Papeete, Police, Prison, Robert Johnson, Slavery, Tahiti, travel by Ashby's World. Bookmark the permalink. How did you end up in that cell Saturday night? Funny story, your tour — you caught my attention right up front. I don’t know if it’s all true, but there’s enough for lots of laughs. Thanks, that’s what Tahitians like best — laughter.